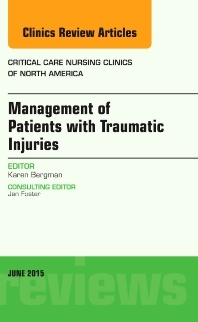 Special considerations arise as critical care nurses care for victims of trauma and violence. This issue highlights the recent advances in the care of these patients, including victims of street crime and domestic violence. As a result of the wars in Afganistan and Iraq, changes in the echelons of care have been brought to U.S. trauma centers in order to better triage, manage, and provide post-surgical care to trauma patients. Articles in this issue address the advances in this field.